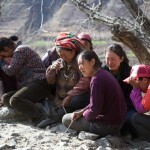 As China increases its hydropower development plans into the 21st century, an estimated 8 million ethnic people in southwest China, many of them Tibetan, Miao, and Yi will be forced to leave their remote mountain homes. My previous posts this week focused on unjust and inappropriate compensation ethnic villagers in the Yalong River valley have received during the relocation process. During this process, local government and hydropower development firms give very little consideration to the rights of ethnic villagers. They also give very little consideration to existing laws protecting these marginalized people. To address the second billboard, in the eyes of the law there are two kinds of illegal acts. One kind is simply a violation of the law. The other constitutes a crime punishable by swift and heavy measures. Legal expert Zhou Yong of Norway University, Oslo questions the legal grounds for the Public Security Bureau to erect this billboard. Specifically, which law is the billboard referring to? And to what extent do swift and heavy measures apply? He continues his critique of the local public security bureau’s abuse of the law by adding that the final judicial organ deciding cases are courts, not the public security bureau. 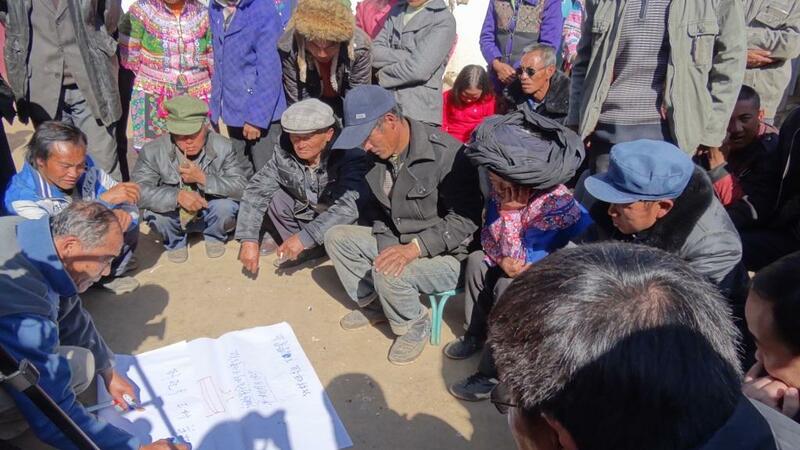 Citizens have the right to act and react to changes going on around them especially in ethnic areas where China’s Law of Ethnic Autonomous Areas applies. Citizens should be aware of their rights and enjoy their rights. The role of NGOs should be to ensure that people can be protected by certain laws and regulations in ethnic areas. In addition, basic rights of personal safety and right of property should be guaranteed. Yang Lin, an expert in social impact assessment adds that the billboards are very thought provoking. Reading them together seems to suggest that the government will provide you with what you need, so there’s nothing to worry about. But on the flipside, the sign indicates that if the government does not give you what it has promised, you shouldn’t ask for it again. This kind of ex-post behavior by relocated villagers is illegal and will be punished. Today China is the building more hydropower projects than any other country in the world. 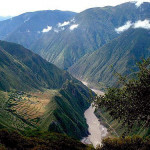 In the new energy development plan, over 60 major hydropower dams and several hundred small and medium sized ones will be built along the Jinsha River (Yangtze), Lancang River (Mekong), Nu River (Salween), Yalong River, Min River Brahmaputra river, and the main stem of The number of ethnic minority people resettled will soon reach eight million. This will be the largest-scale involuntary resettlement in China’s history. A promotional film for the Ertan dam says that all Chinese people will benefit from hydropower and that China will reach through to new heights from which all mankind will benefit. A local villager from Danbo disagrees. As a country, China has a plan for the development of the national economy and will try its best to realize the goal of energy security and sustainable resource development. But hydropower development firms only seek to maximize profits. The country has power, and the firms have money. When power and money come together they will inevitably put a third party at disadvantage. When “weak” individuals face a “strong” government and hydropower firm, the interests and needs of these individuals usually cannot be protected or heard. The Chinese government should fulfill its obligations by exercising its administrative powers within the framework of law. It should solve this issue according to the current laws, regulations, and the international conventions that China has approved. For example the UN Human Rights Convention requires that China follow related international law and assume international obligations. When solving conflicts between three parties, the most important thing is to make sure that concerns of the people can be heard. Throughout this process, people should be able to make use of various channels and platforms to raise their concerns. 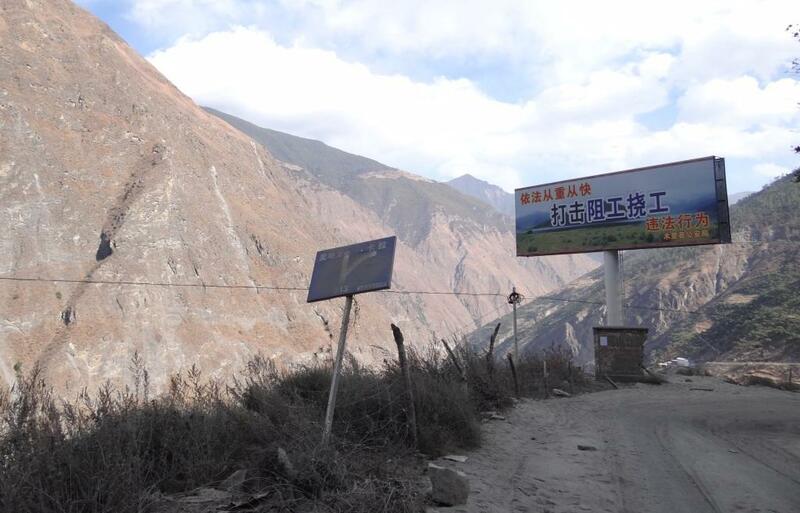 This is the 2nd in a five part series on ethnic resettlement and the impacts of hydropower development by Yu Xiaogang. Link here to part 5 and here to link back to part 1.